Welcome to Burnham and LaRoche Studios. 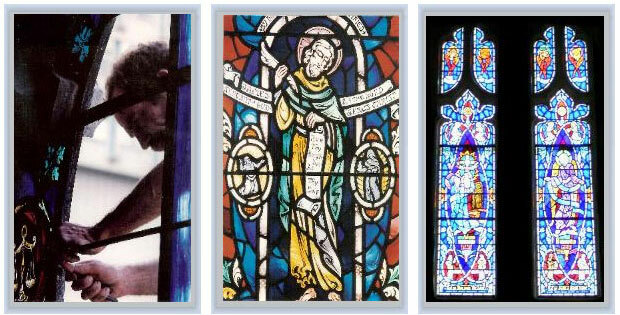 Burnham and LaRoche Associates proudly servicing the Boston and the New England areas with the highest quality stained glass window restoration and stained glass window designs for churches and residental properties. The significant contribution of the Wilbur H. Burnham Studio to the history of art in America led to its selection by the Smithsonian Institution as one of the four finest stained glass studios in the country. We specialize in creating and restoring stained glass for churches and residential properties. We also repair stained glass lamps and other stained glass work.